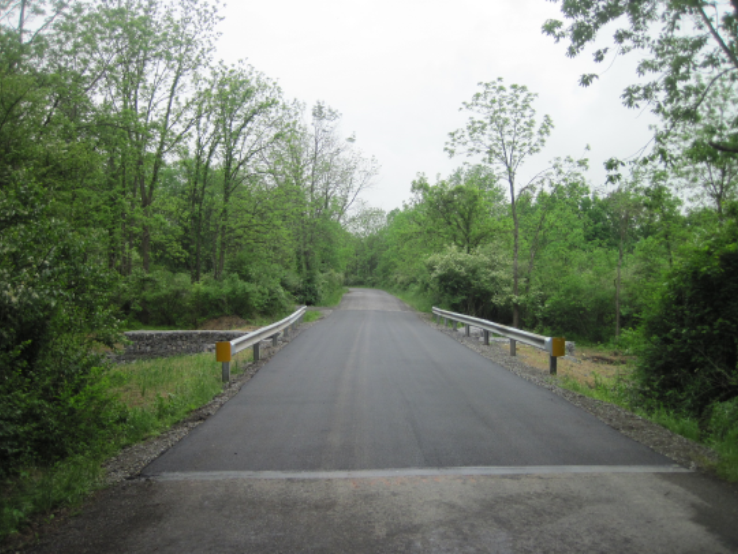 The Project replaced two concrete slab bridges with new aluminum box culverts on Leisure Acres and Mill Roads. 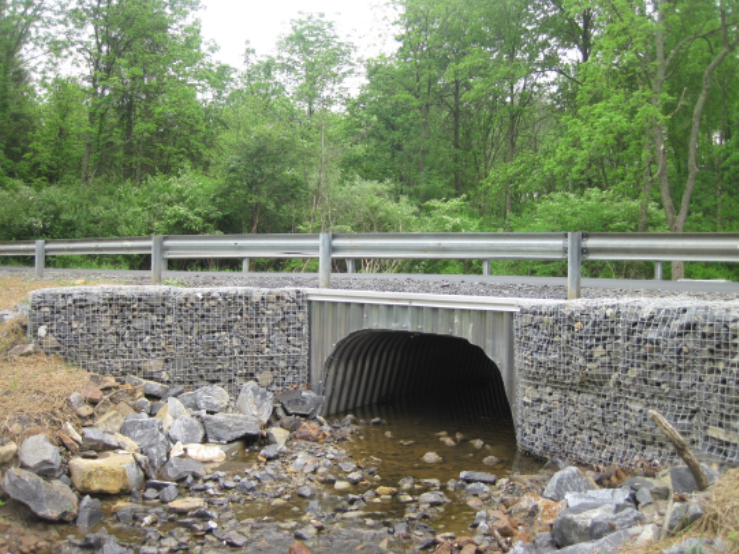 The new culverts have larger cross-section openings that increase hydraulic capacities. 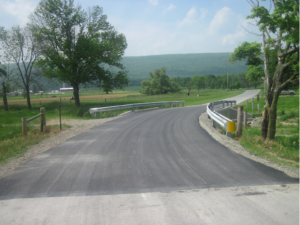 Each road was closed less than three weeks from the day the old bridge was demolished until traffic resumed. The non-corroding aluminum has a very long life comparable to cast-in-place concrete. 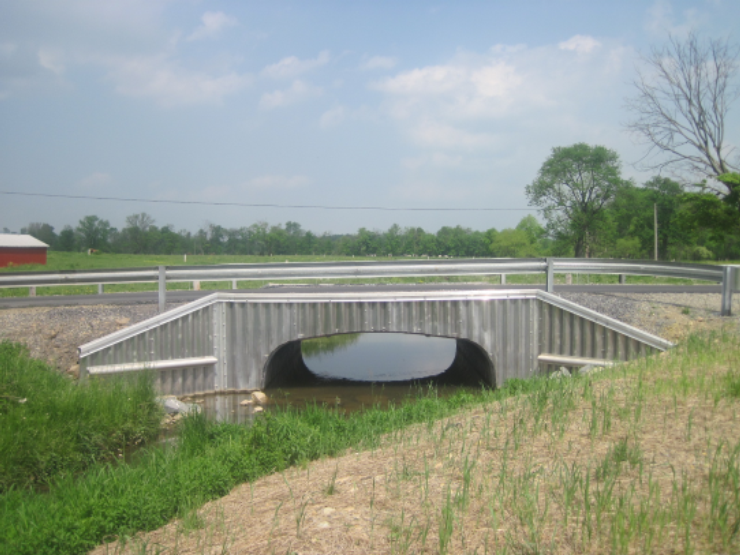 Aluminum box culverts are assembled on top of the ground (can be done before the old bridge is removed) then a backhoe lowers them into place. 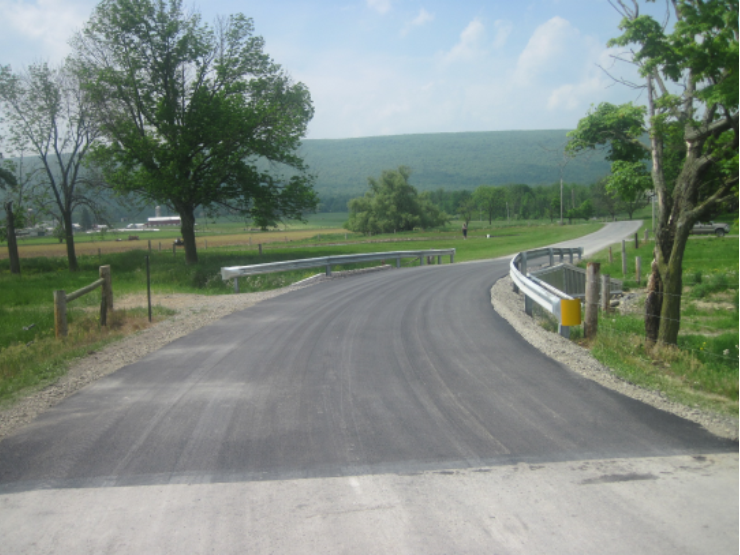 Work included improving the stream channel, stabilizing the bank with riprap and restoring the asphalt roadway. The culverts are buried at least 18” below the stream bed, providing a natural stream channel.